The methods documented herein will create a 2.88MB boot floppy image (as 1.44MB often hasn't enough space to hold the BIOS updates for modern motherboards). Since actual 2.88MB floppy drives (and media) are difficult to find, these images are primarily useful with Memdisk. 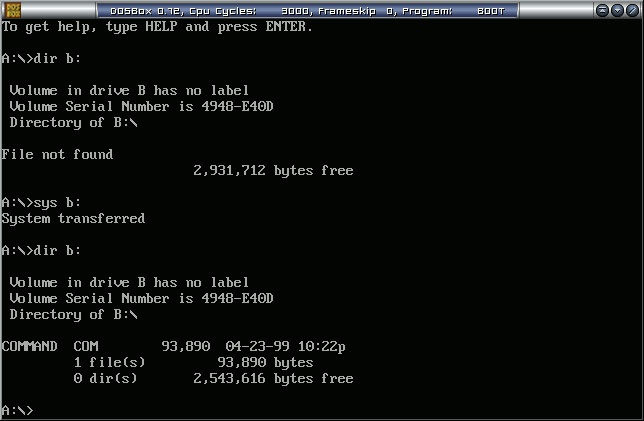 If you need a different size filesystem, just adjust the dd or truncate commands as appropriate; but make sure that the final image is a multiple of 512 bytes in length. 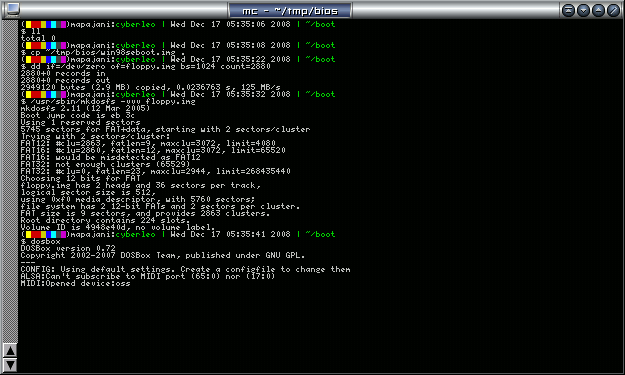 Note: using Memdisk may not work with certain BIOS update utilities! 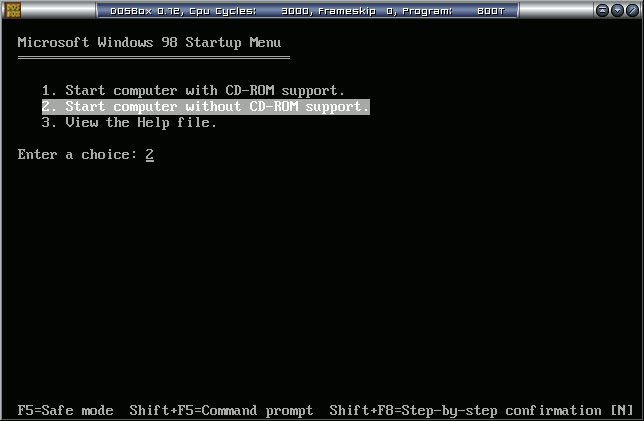 Make sure that you have a copy of DosBox and a copy of a Windows 98 MS-DOS boot floppy.